Easter was always a fun time growing up. It meant a new hat and a new pair of shoes. Always white. Like a clean slate. And sometimes even a new purse. After church we would ‘find’ hidden treasures (candy candy candy). When I grew up I instilled some fun memories in my kids too. Church, picnic in the park, and our beloved KITE WARS. 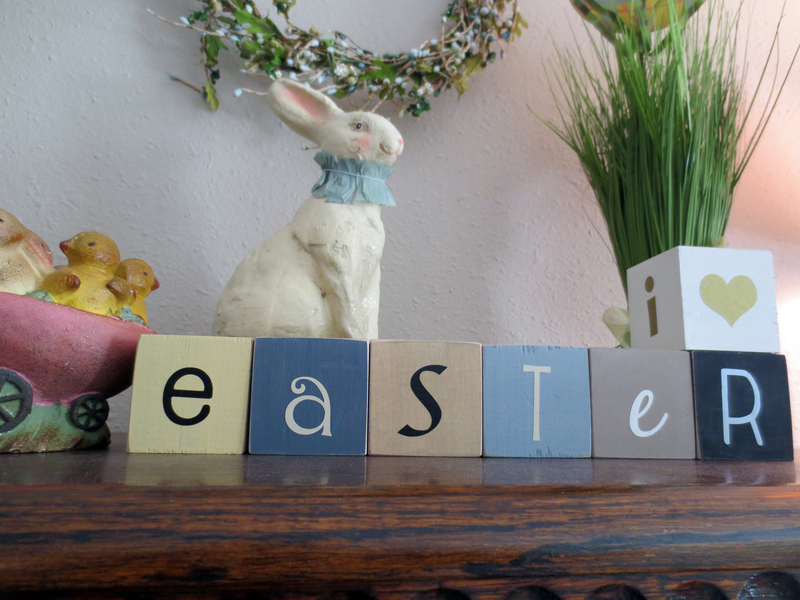 I love the feeling of renewal in Spring especially during Easter. Here is my homage to this holiday. It showcases my “blocks that talk”. They can be used for any festive event or holiday.